Legendary NK Zagreb player and record holder with 810 games played for the club. He played as central defensive midfielder, equally effective in defensive and offensive tasks. 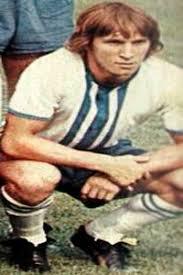 He played for NK Zagreb (1968-1984) in which he played 810 matches. Played at the site of wing half; prototype of the modern player, tireless, hardworking, good technician, fast, combative, equally successful in tackling and ball recuperations, as well as passing and starting the attacks. He remained at the club as a coach and official.